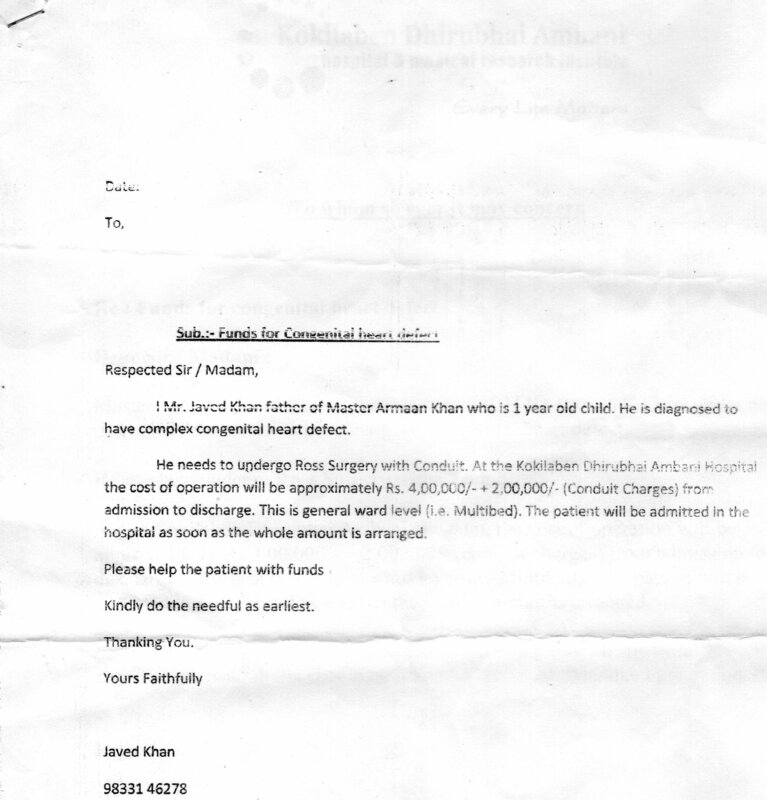 AN APPEAL TO DONORS TO HELP “MASTER ARMAN KHAN ” FOR HIS TREATMENT, WHO IS SUFFERING FROM COMPLEX CONGENITAL HEART DEFECT. 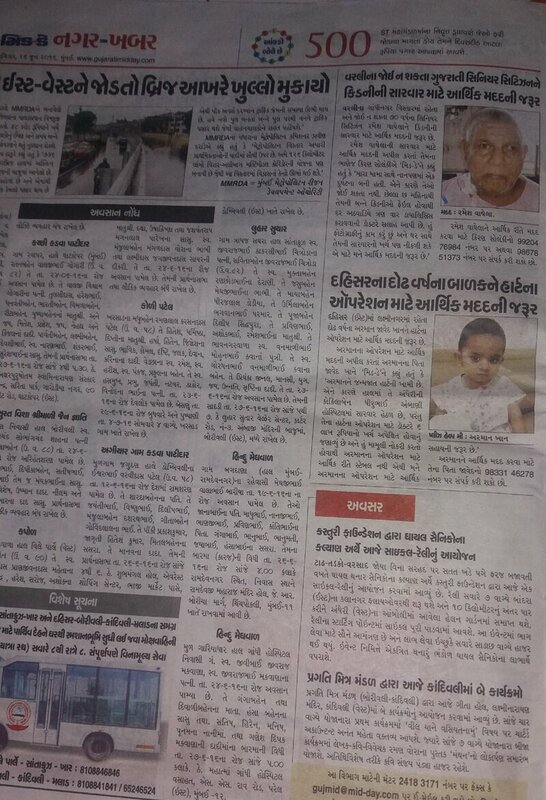 Master Arman khan is just a one year old boy.This Chid Suffering from “Complex Congenital Heart Defect“.He needs to undergo Ross Surgery with Conduit. 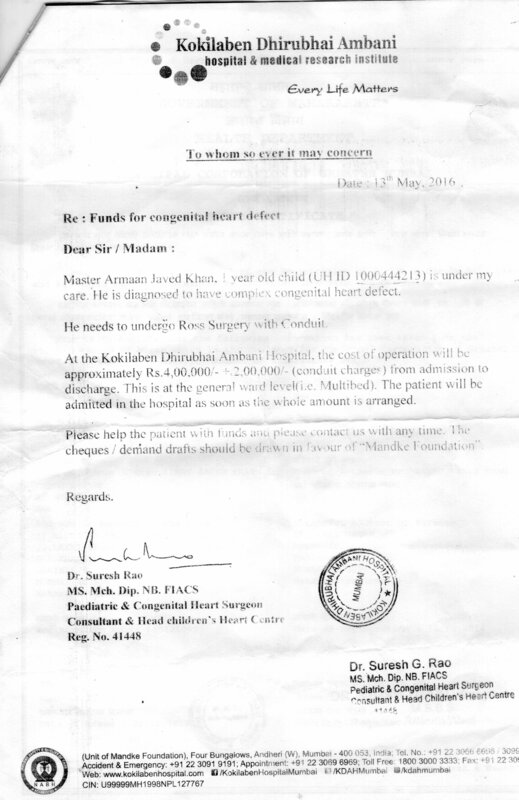 His already blockage in heart surgery done. 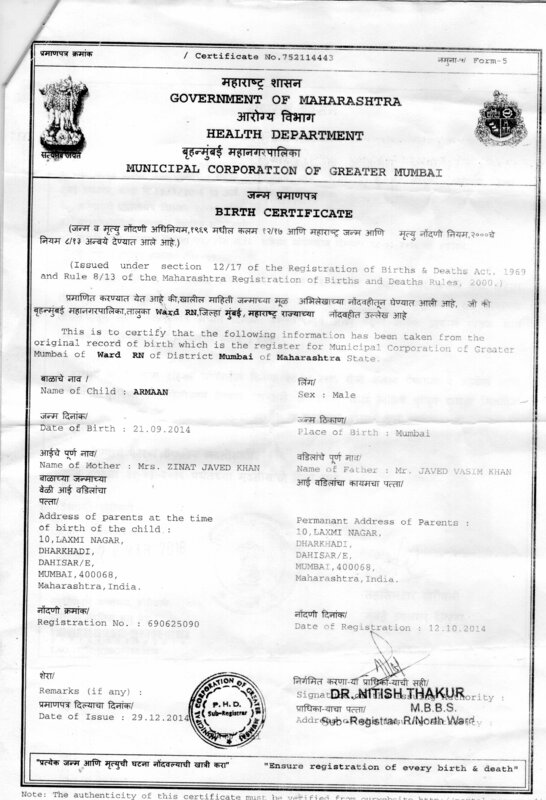 Now his second leaky valve in heart surgery is remaining, but according to doctors advice this can be start any time. 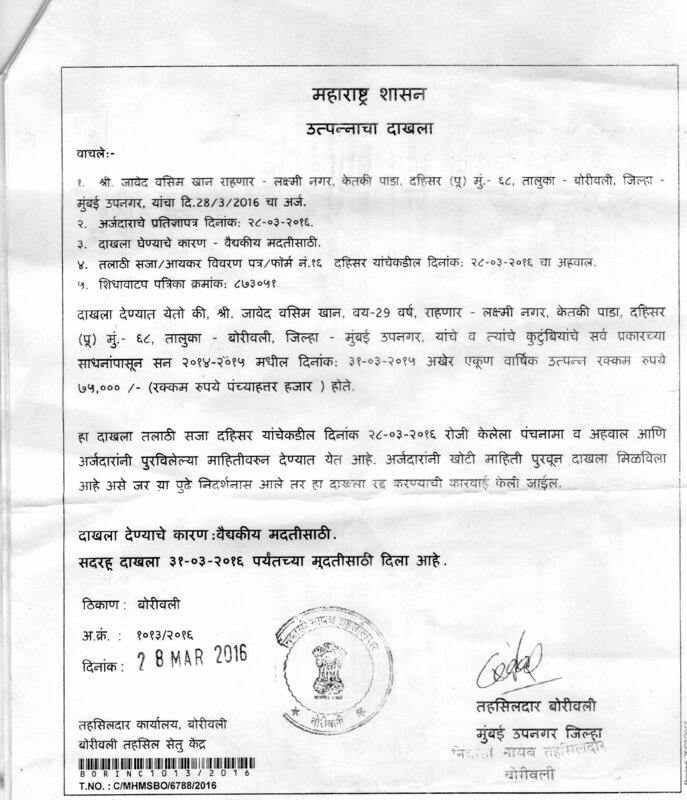 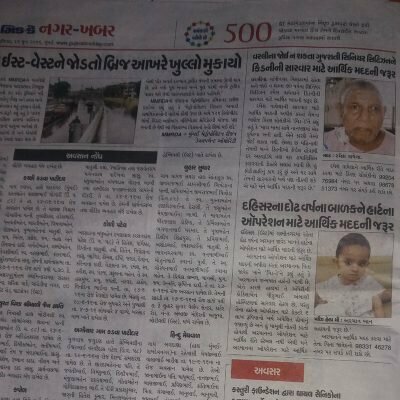 But His father has taken some time to arrange fund for next surgery at least for 5 to 6month. 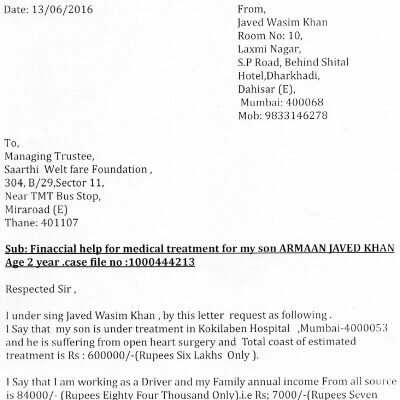 Aarman family is from poor socio economic strata of society and his father finding it difficult to bear the further hospital expenses..
Mr. Javed Wasim Khan (Father of Arman) is a Driver. 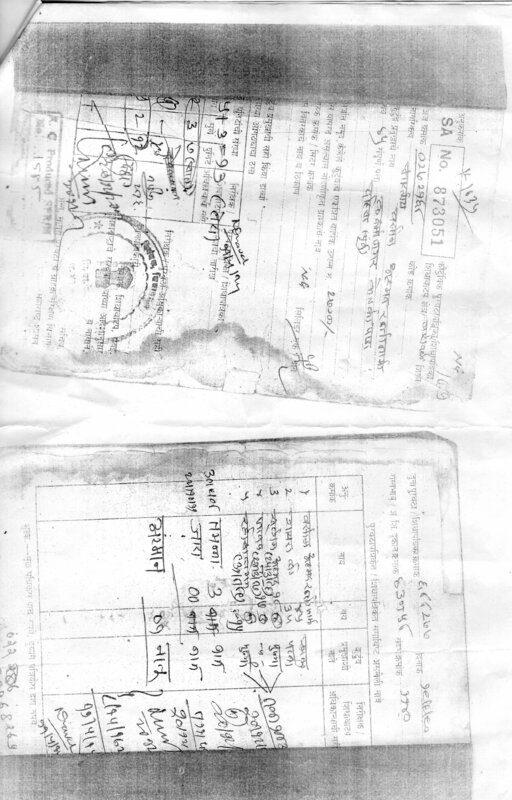 The family has no support from anywhere else and no other source of income. 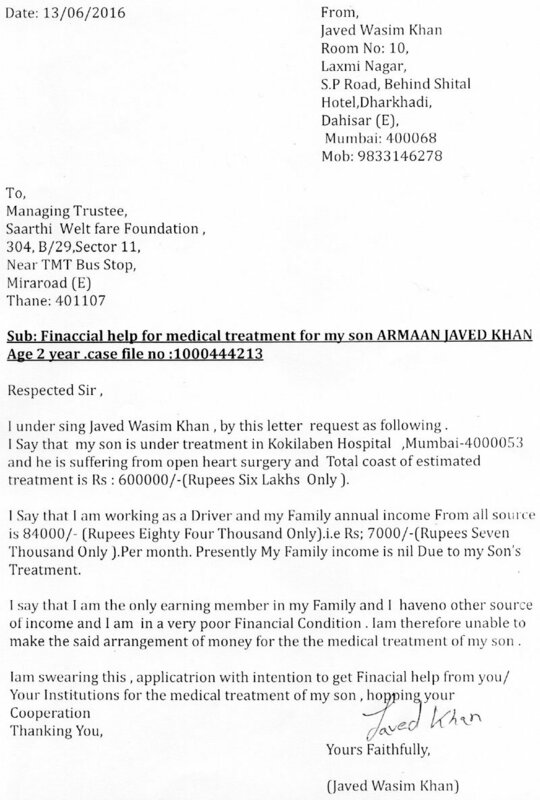 In such a critical situation it is difficult for him to bear the expenses of Arman’s treatment.